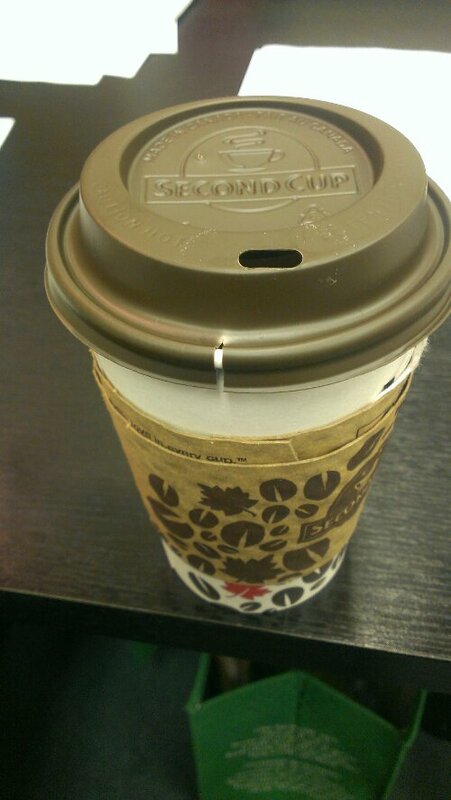 Coffee Cup: There’s a crack in my lid! Me: Oh noes! Well it’s a good thing I spotted it! I certainly won’t take a sip. Me: What? No I won’t! Coffee Cup: Yes you will. Me: Why on earth would I forget something that could potentially scald me?! Coffee Cup: It’s a three minute walk to the office. A lot can happen in three minutes. Me: You know nothing, coffee cup. You are a coffee cup, and therefore incapable of sound logic. Me: Can’t talk! Thinking about a funny goat video! Ohhhh, that goat—(takes sip) OH GOD OWWWW IT’S IN MY SHIRT! Coffee Cup: If I had the ability to look smug I would. Posted on August 19, 2014, in Conversations With Stuff and tagged coffee cup, conversations with stuff. Bookmark the permalink. 3 Comments. I can’t wait for the webcomic! Hahahaha, maybe someday, or a webseries!